We’ve had a lot of rain in the last month (hooray! we need it), and the damp weather is great for mushrooms. 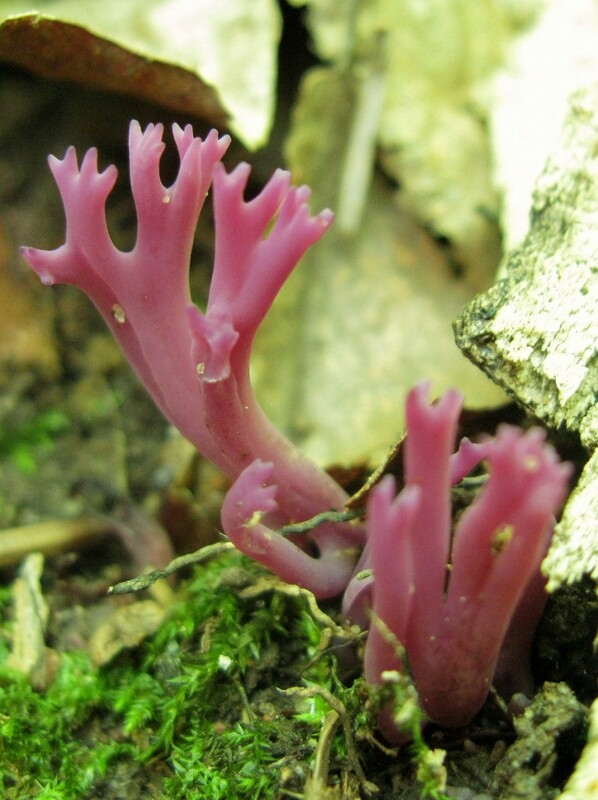 I think the second one is some kind of coral mushroom, genus Clavaria, but I’d never seen a purple one before. 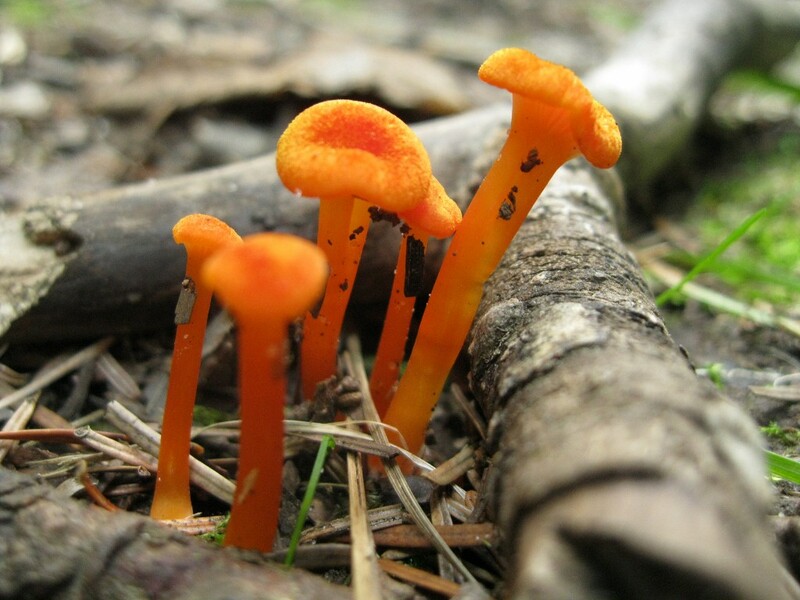 I don’t know about the little orange ones, but they were everywhere, growing right in the middle of the trail! Awesome pix, Rebecca. Would like to add another suggestion to t-shirts: Fascinated by Fungi. If you don’t have it, add Audubon’s guide to mushrooms to your bookshelf – it’s fabulous!